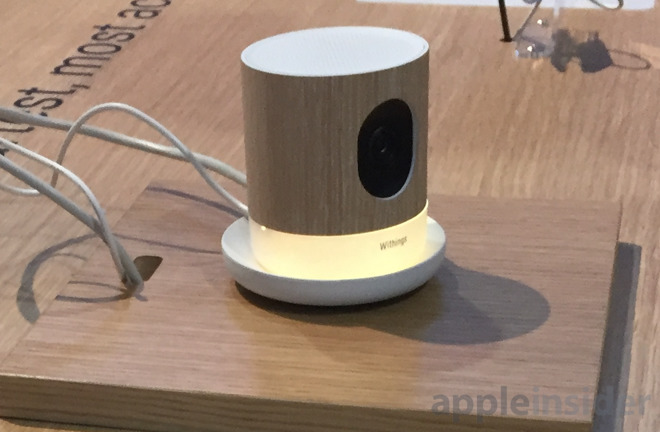 While a number of HomeKit-connected cameras were showcased at CES last week, Withings goes a step beyond just video, integrating an air quality monitor into its offering as well. The Withings Home Plus Video & Air Quality Monitor integrates with Apple's HomeKit platform, providing users with smart alerts, including screenshot notifications when events are detected via noise or movement. The Home Plus offers round-the-clock security, with a 24-hour timelapse view, two-day diary of events, and continuous recording options. Users can view HD video of their home from an iPhone, iPad, Apple Watch and Apple TV. Withings's camera also has a baby monitor mode, featuring night vision and two-way talk. It also has built-in Lulla light and music programs. Finally, beyond just a camera, the Home Plus also has an air quality sensor that can monitor your home and alert users to pollution spikes. 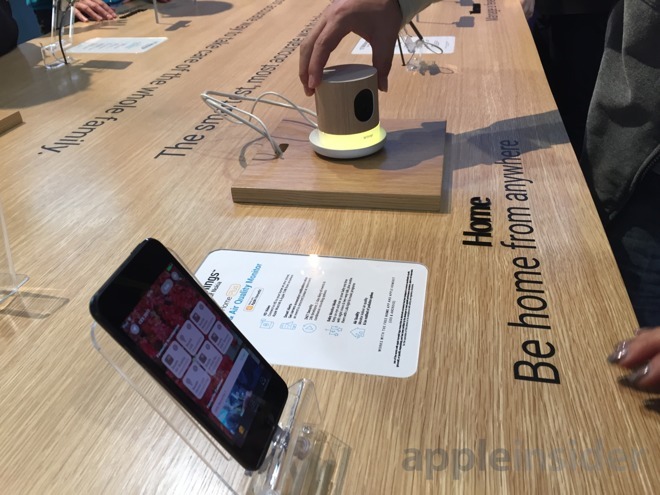 In a demonstration at CES, Withings showed how the Home Plus integrates with Apple's own Home app in iOS 10. A dedicated "favorite cameras" section within the app can provide users with a quick live view of their home. For more from the floor of the Consumer Electronics Show in Las Vegas, see AppleInsider's comprehensive CES 2017 coverage.